Dr. Christopher McGowan joined Cary Gastroenterology in 2014, and is Board Certified in Gastroenterology and Internal Medicine. He's a member of the American College of Gastroenterology, the American Gastroenterology Society, the American Society for Gastrointestinal Endoscopy, and the North Carolina Society of Gastroenterology. Dr. McGowan graduated with High Distinction from the Pennsylvania State University in State College, PA. He received his medical degree from Jefferson Medical College in Philadelphia, PA. He completed his internship and residency at Brown University in Providence, RI, where he served as Chief Medical Resident. 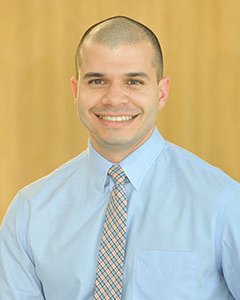 Dr. McGowan completed his fellowship in gastroenterology/hepatology at the University of North Carolina School at Chapel Hill, where he also received advanced training in epidemiology and clinical research methodology, earning a Masters of Science in Clinical Research. Dr. McGowan is the director of Bariatric Endoscopy at NEW You Weight Loss. Read more about Dr. McGowan’s endoscopic weight loss services here.